One of the leading German Automobile manufacturers, Volkswagen, could be investing in Ethiopia. A report by state media, Ethiopian Broadcasting Corporation (EBC), says CEO of the company, Thomas Serdan, led management team of the company to assess the situation in Ethiopia. Chief of Staff in the Office of the Prime Minister, Fitsum Aregaa, told EBC that the company is studying if the business environment in Ethiopia is supportive of car manufacturing. 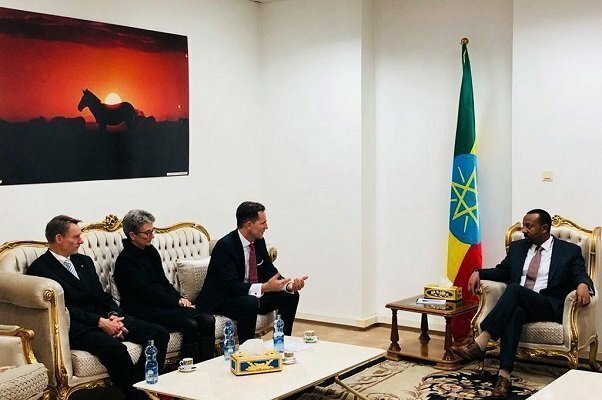 Yet, Fitsum added that the delegation has expressed concern during a discussion with the prime minister that existing policy in Ethiopia seem to encourage car import as opposed to car manufacture, and that the company is ready to invest as soon as the policy environment improved. The Prime Minister, who is scheduled to travel to Germany this month which was initiated by German’s chancellor Angela Merkel, reportedly told the Volkswagen delegation that Ethiopian government will support the company to invest in Ethiopia, which may mean that he will fix the policy environment. Germany is one of the donor countries to Ethiopia and is funding “development” programs in some parts of the country.